Flash is the rich media plugin that everyone loves to hate Does Adobe Flash Need to Die? [MakeUseOf Poll] Does Adobe Flash Need to Die? 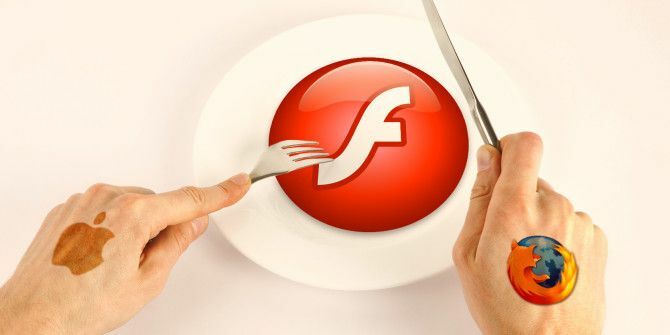 [MakeUseOf Poll] We want to know what you think about Adobe Flash, and, in particular, whether you think Flash needs to die. Welcome to this week's MakeUseOf Poll. Read More , notorious for its constant updates and fierce appetite for system resources. Now it’s splashed across the tech headlines Adobe Flash Must Die, Apple Suffers From Staingate, & More... [Tech News Digest] Adobe Flash Must Die, Apple Suffers From Staingate, & More... [Tech News Digest] Facebook bashes Flash, Apple scrubs those stains, Walmart launches Black Friday 2, Nintendo suffers a real loss, Spotify maps the world, and R5-D4 ends it all. Read More once more, as Mozilla moves to block it by default in the Firefox web browser. But this isn’t the first time that Flash has come under fire. The tech community has been seemingly obsessed with its destruction for years. Here’s the who, why and how behind the downfall of Flash. From the outside-in, and knowing all we know now about device compatibility, fragmentation and the importance of making website access as easy as possible, it seems absolutely bonkers that Flash is still being used. In order to understand how we got here, you’ll have to cast your mind back to the web of the mid-90s I'm Tipping My Hat To You, Microsoft NetMeeting I'm Tipping My Hat To You, Microsoft NetMeeting As Windows XP races toward the end of its lifecycle, it spells the end for a few neglected Microsoft products that saw their last gasp for air when Vista landed globally in 2007. Microsoft NetMeeting... Read More . In 1996, a company called Macromedia purchased FutureSplash Animator and rebranded it Flash. In addition to authoring software, Flash Player was distributed as a browser plugin that allowed online users to view the animations, videos and interactive elements contained within .SWF files. These files had to be authored using Macromedia’s proprietary software and thus began the Flash monopoly. By 2000, Flash had reached version 5 and websites like Stickdeath and Homestar Runner Rise Of the SWF: Flash Animations That Will Make You Feel Old [Stuff to Watch] Rise Of the SWF: Flash Animations That Will Make You Feel Old [Stuff to Watch] Do you remember when a company called Macromedia introduced their rich web plugin, Flash? Back then, Flash was an exciting new prospect. It introduced the ability to animate, using frame-by-frame and using motion-tweening, add sound,... Read More only served to keep monthly Flash Player installations growing. At the time this was hardly surprising — web video still hadn’t taken off, with many still restricted to dial-up speeds. The technology made good use of lightweight vector imagery and compression techniques to deliver a rich media experience like no other. By 2005 Adobe had acquired Macromedia, bringing Flash, Dreamweaver and the whole Shockwave family along with it. Significant improvements were made to ActionScript, making the technology more appealing to business users with some implementations (like Adobe Flex Builder) targeting the enterprise market specifically. That’s right, even enterprise-level corporate applications were built using Flash. In 2008 Flash reached version 10 complete with a non-GPU-accelerated 3D engine. Shortly after, Adobe Integrated Runtime (later rebranded Adobe AIR) appeared, replacing Flash Player with a new framework that even found its way onto iOS despite Apple’s shunning of Flash as a web technology. It’s been just short of 20 years since Flash 1.0 was released in 1996, and only now are serious moves being made to truly “kill off” the technology. One of the biggest problems with Flash was echoed in some of its earliest criticism. Long before zero-day vulnerabilities and an insatiable thirst for system resources became de-rigeur, Adobe was criticized for their “vendor lock-in” approach. As Flash is a proprietary technology, Adobe is ultimately in control of the platform. There’s no open source to view, and thus no public specifications defined for re-implementation of past work outside of Adobe’s ultimate control. Everyone from Mozilla Europe’s founder Tristan Nitot, to free software movement evangelist Richard Stallman and inventor of CSS Håkon Wium Lie have criticized Flash for its gatekeeper approach. Tristan Nitot, Mozilla Europe founder, speaking to ZDNet in April 2008. 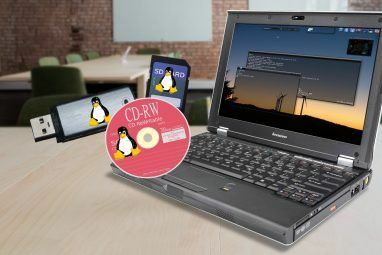 Despite attempts made in by Adobe in 2009 to lift restrictions on the .SWF/.FLV file specifications, the technology has never received the warm open-source approach that critics have strived for. A number of open source Flash player alternatives sprang up, like Gnash, Swfdec and Lightspark — all of which fell by the wayside, with limited compatibility unlike that which Adobe could implement. Flash is also frequently found to be insecure, a fact many users are aware of thanks to seemingly endless Flash Player updates. Most recently a group called Hacking Team were themselves hacked, and a number of their tools leaked onto the web — including three (and counting) particularly nasty exploits for Flash, which prompted Mozilla to take drastic action. Richard Stallman, founder of the Free Software movement, posting on the OpenBSD mailing list in December 2007. At the time of publishing, CVEDetails — a website that tracks common vulnerabilities and exploits — attributes 510 total issues to Flash Player since 2005, just short of 40% of all recorded Adobe vulnerabilities since 1999 (1276). The figures for 2015 are even more depressing, with Flash making up 75% of all Adobe vulnerabilities. It’s also hard to ignore that in the 20 years since its introduction, browser technology has come a long way, as have connection speeds. Flash is old by today’s standards, and having to install a plugin in order to access content feels old fashioned and backwards. 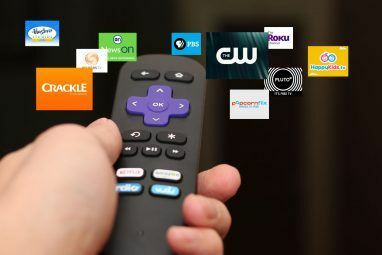 Many of the services you’d want to access that once relied on Flash no longer do — YouTube, Vimeo, Hulu; they’re just that popular — but advertisers still make heavy use of it. Food for thought. Despite the mounting criticism from developers and end users alike, Flash went relatively unchallenged as a baseline standard until 2010. Web plugins continued to come and ago, notably the Unity game engine saw its first release in 2005, with a web-player plugin capable of providing immersive 3D-experiences within a web browser. Many of Unity’s implementations were standalone, and the technology was never meant for the web in the same way that Flash was used in applications, media and advertising. It wasn’t until Steve Jobs published his open letter — Thoughts on Flash — in 2010 that the technology came under serious scrutiny from a tech industry heavyweight. Jobs outlined six clear reasons as to why Apple would not be allowing or implementing Flash on iOS, citing the technology’s lack of openness, a plugin-based approach, security and performance concerns, battery drain, touch-friendliness and vendor lock-in as determining factors for the decision. This was arguably the biggest blow the technology had received so far, and news that Apple wouldn’t be supporting Flash forced users to seek alternative, browser-compliant technologies. HTML5, WebM and the H.264 codec are just some of the alternatives that flourished in the wake of the announcement. Websites like Vimeo quickly reacted by making Flash an optional extra, but still a default option for most. Adobe Developer white paper about Android 4.1 “Jelly Bean” in February 2012. 2012 also saw Microsoft officially cease development on their competing rich media technology, Silverlight. While Silverlight likely posed little threat to Adobe’s crown, this move was seen as the canary in the mine by many, signalling that now was the time to embrace evolving web technologies like HTML5 and ditch the plugin-based approach. By 2014 the World Wide Web Consortium (W3C) announced that the HTML5 specification process was complete, and that the technology was ready for widespread adoption. Many browsers already supported HTML5 by this point, and so its use moved the “novel” to the ordinary. The <video> tag further removed the dependency on .FLV video, and many HTML5 web games that sprang up using the <canvas> tag ran natively on mobile devices 6 Mobile HTML5 Games You Can Play On Your Smartphone For Free 6 Mobile HTML5 Games You Can Play On Your Smartphone For Free Web apps have come a long way in the last few years, and with the dawn of HTML5 even more complex, self-contained games and tools can be created. Smartphone manufacturers have (on the whole) been... Read More . Richard Leider, Engineering Manager at YouTube in a blog post in January 2015. Since then two further Flash exploits have been found, and the fallout hasn’t been pretty to say the least. The news lead Facebook’s Chief Security Officer (CSO) Alex Stamos to publicly call for Adobe to set a kill date for Flash, shortly after the head of Firefox support Mark Schmidt announced that all versions of Flash are blocked by default in the current release. Two days later and Flash support is back for Firefox users — but for how long this time? Flash isn’t dead yet, and still enjoys widespread use particularly in the gaming and entertainment spheres. Many mobile games (like Angry Birds and Machinarium) were developed with Flash and packaged up for use on mobile platforms with the help of Adobe AIR, and this is still happening for mobile games produced today. Similarly, Flash is a go-to animation tool for many professional productions ranging from My Little Pony: Friendship is Magic to scenes in the 2009 Academy Award winning Irish feature film, The Secret of Kells. You can still buy a license for Flash Pro CC today, and you can spend much more on courses learning how to make the most of the toolset. But if your specialty is web technologies, streaming video and rich Internet applications, Flash is not the future. A poor security record, cumbersome update process and the rise of better, more accessible technologies are all evidence of this. So don’t expect Adobe to kill off what many still consider to be a vital tool in their creative arsenal, but do expect to hear a lot less about it in the coming years — particularly if you yourself choose not to install it — it’s perfectly possible to enjoy today’s Internet without it..
Do you still have Flash installed? What’s stopping you from letting go? We can but hope, Douglas! What stops me from discarding it is the incredible number of sites that require it. All one needs to do with Firefox is set the plugin to "Ask to activate" to discover how ubiquitous Flash remains. Until the number of sites and pages that "Ask to activate" approaches zero any discussion of killing flash is mental masturbation and diarrhea of the mouth. Of course it is to be desired but so are many unreasonable things. This, of course, is the reason that Mozilla immediately backed off their silly move to block it by default. The ActiveX and NPAPI plugins are uninstalled on my PC, and all third-parties plugins in Chrome are not set to ask before running as a workaround until it is no longer necessary. The biggest benefit is that I no longer see flash-based ads anymore. While I have flash installed, I have it disabled. I turn it on only when I have to using Flash disable. I also delete the flash cache files daily. Also keep the latest updates installed. 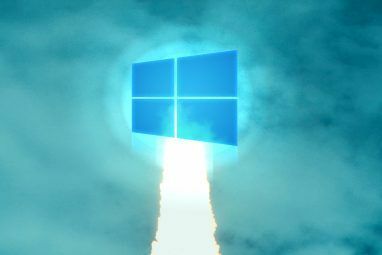 Remember the windows os itself is also quite vulnerable too. Keep your os up to date, watch very carefully what you download, watch your email as well too. There's nothing wrong in asking them if they plan to provide an HTML5-based alternative to their Flash web-app. Worst case they'll tell you they don't have any plan for it, and you'll know if you need to search for an alternative. Thanks for your comment. I have now learned that WizIQ provide an App, as an alternative to their flash-based web solution. I am also told that I can use this with the rest of the tutor-support systems (marketing, diary, charging and payment) that are used by the company that I work through. Not many clients want tutoring in the summer holidays, so I will have to wait until next term to try it for real. It's a touch-friendly HTML5 whiteboard which works well across platforms. It might give you an idea of where the technology is heading, and if you're keen you could always suggest it as an alternative tool in your workplace! Thanks for that information. I will keep lobbying the agency that I work through to update / improve the systems that they give us to work with. Knowing what else is out there will put me in a stronger position, when I try to get them to move forward.